Now that Xbox One has been announced, and naturally, immediate comparisons are already being drawn between it and the PlayStation 4 of Sony. Since we’re still a long way from seeing either of these two titans hit the market, it’s impossible to begin to compare the two up against each other in terms of performance, but taking into consideration the hardware specs of each, we can at least gauge a rough idea of how these two significant machines stand up to one another. Here, we’re going to use what information we already know to compare the hardware and features of each, and although this won’t be indicative of anything beyond mere reference, it does set the ball rolling. Of course, both next-gen consoles completely smoke the 360, and when you look at the two soon-to-be-released offerings side-by-side, there isn’t really much to call. 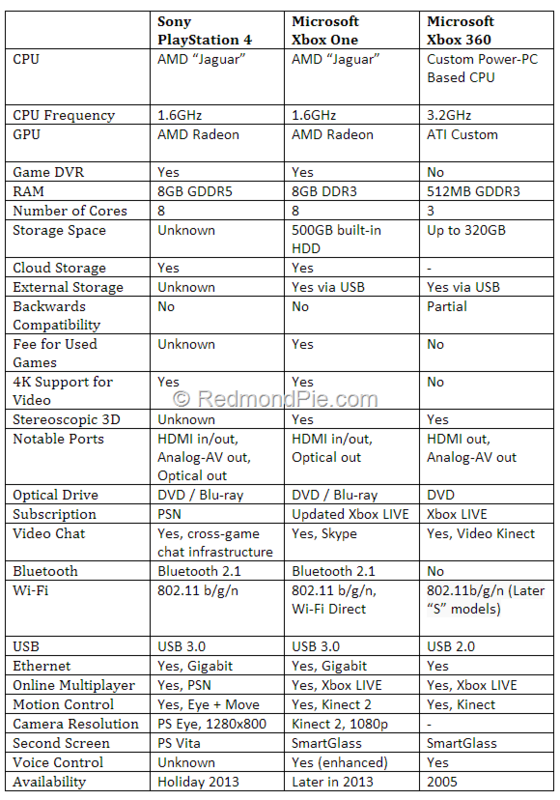 Both impress on CPU / GPU, each has a respectable 8GB of RAM (although it will be interesting to see if the Xbox One matches the PS4 with GDDR5), and while the Microsoft effort packs in a 500GB custom HDD, we suspect Sony’s promised "very large HDD" will measure up to the challenge. At this early stage, it’s impossible to make any firm judgments, particularly with so many holes remaining in the details of the PlayStation 4. 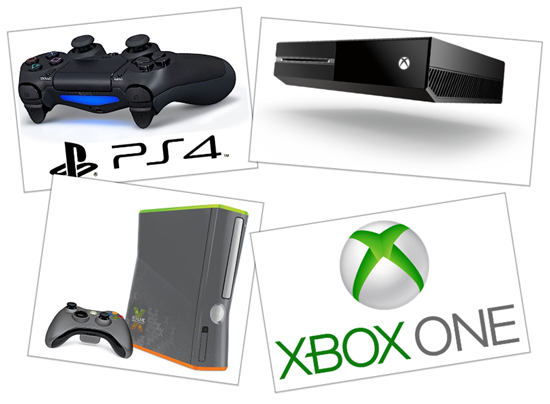 With that said, it wouldn’t be a console war without a bit of unashamed fanboyism, so come on guys — which one do you think is going to be taking your money, and why? At this point, I am very impressed by the Xbox One, and as an owner of both previous-gen consoles with something of a partiality toward the Redmond-made machine, I can openly admit I was always anticipating the next Xbox slightly more than the PS4. Still, Sony still has quite a bit of news to deliver the ravenous tech world, and with the Japanese company taking center stage at next month’s E3 expo, we won’t have to wait too much longer to find out more.